November is a great month with Yeyo Arts Collective! On November 1st our next exhibition will be up! Taking Flight, with work by Deborah Mashibini, Valerie Wangoi Mayes and Itshanapa Dail Chambers! Join us for our free reception on Saturday November 23rd from 4-7pm, or stop by during the month! Each Monday is the Orisha Song and Dance Class with Chinaka Kizart from 6-8pm for $10! We will be having a training and meet up session Friday, November 8th from 6-7pm $10 suggested donation! Learn with us local and national marketing tools and resources for the nontraditional artist! Each Saturday is Watercolor Class at 2pm $10. On Sunday November 10th we will be working on a community quilt! 2pm, by donation. Bring scrap fabric! On November 11th we will be hosting a Khemetic Yoga class. Stay tuned for more details! Zanzibari's Trunkshow will be on November 16th! Her work is nationally sold. It is worn and swooned on by famous artists and fashionistas everywhere! 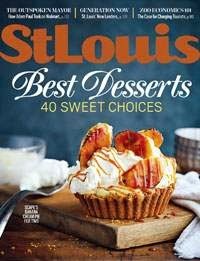 Her work is a Saint Louis treat! Every Tuesday is Bellydance class at 5:00pm for beginners and 6:15 for intermediate. This class is only $5! Our next Collective meeting is November 17th at 2pm and we are having potluck! Our Annual Holiday Bazaar is from noon-4pm on November 30th! *if you are interested in vending with us, please let us know by November 15th! Tables are only $25! Call for Artists: Are you interested in becoming a collective member? We have open enrollment for new collective membership going on now! If you would like to get involved please send us a one page letter describing your strongest and weakest attributes and how you would like to get involved! Did you know founding member, Dail Chambers is a part of Generation Now, a feature in Saint Louis Magazine. Check her out on page 114. We have a great mention!